Today, starting at 2 PM Pacific and going until 4 PM or until they sell out, the Lock & Lock Happy Hour (save up to 70%) special will be their 3 tier lunch box set with pink bag and a water bottle. 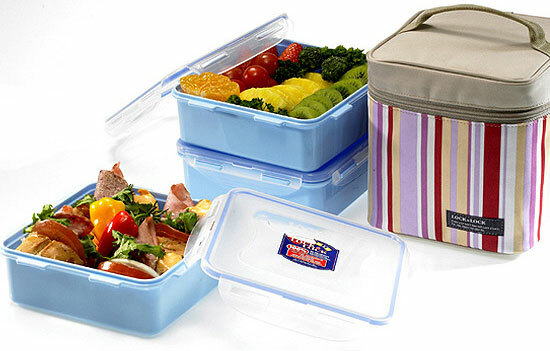 Carrying food on the go is ever easier with this lunch box! Attached a grip handle and featured a sturdy zip closure make transporting it easy and comfortable. I have a different Lock & Lock of the same design (smaller size) and have been pretty happy using it in the past. This one would be great for a lunch, salad, and a fresh fruit layer, great for all day healthy eating! Good luck getting one!